Children will learn how to multiply with fun with the wooden number cubes by Design Letters. The numbers – from 0 to 9 – were designed by Arne Jacobsen, who designed the popular typography for the Aarhus town house in Denmark already in 1937. 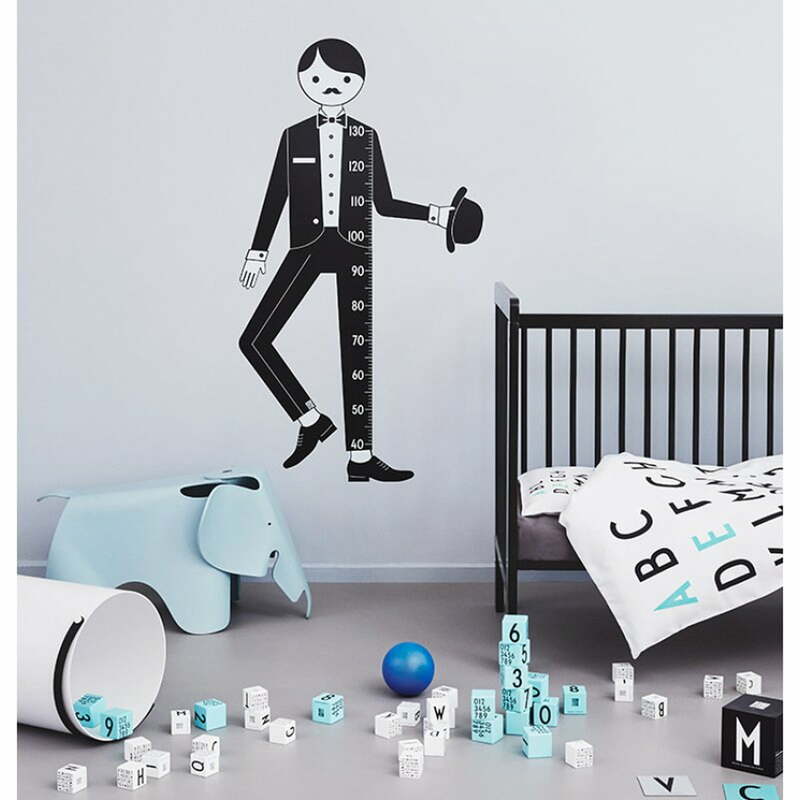 Nowadays, the letters, numbers and signs ornament diverse home accessories and office utensils by the Danish manufacturer Design Letters, be it to play or for decoration. However, the wooden cubes are real eye-catchers in the office or the living room as well. 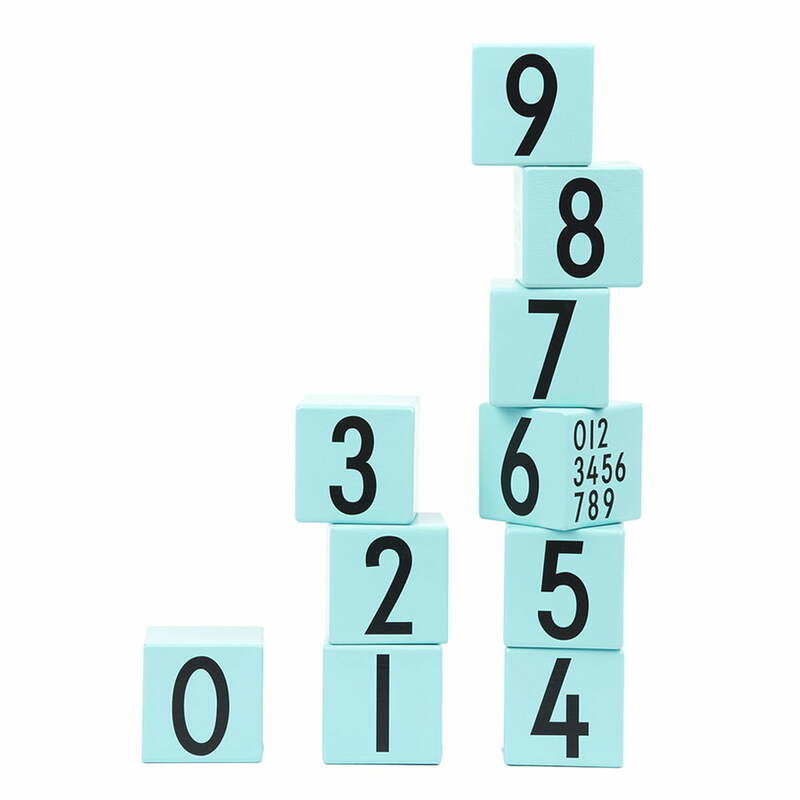 Decorative as a paperweight or home accessory, they will encourage our love for numbers. 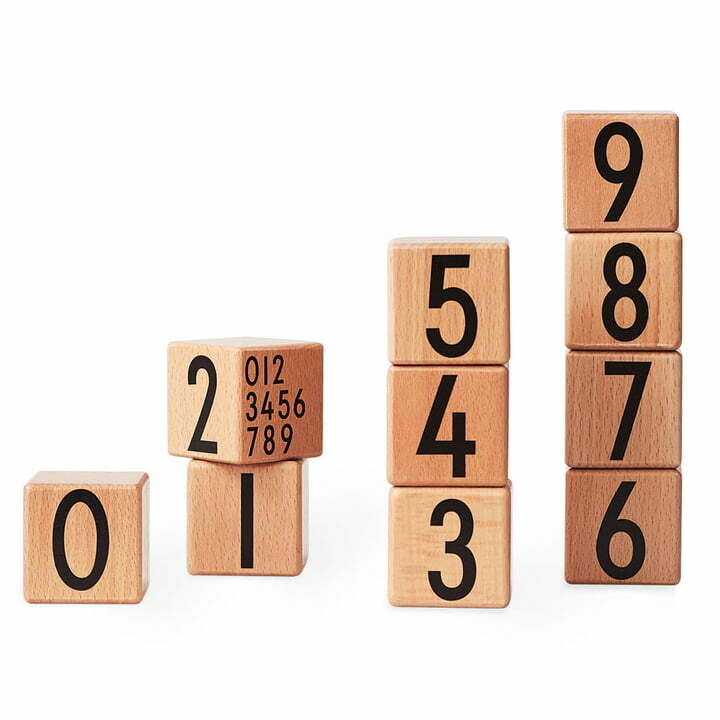 AJ Wooden Number Cubes (set of 10) by Design Letters: Image of the AJ Wooden Letter Cubes. Wooden cubes in turquoise with printed typography by the designer Arne Jacobsen. Learning how to multiply with style and colours. 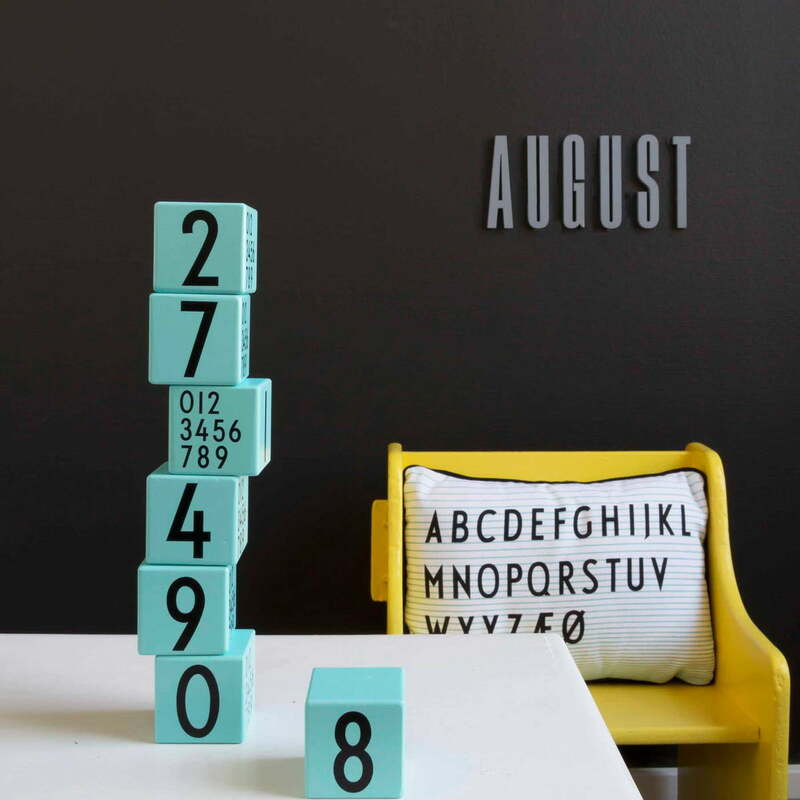 The Wooden Number Cubes by Design Letters are wonderful decorative accessories that look gorgeous stacked or alone in the office or the children’s room. 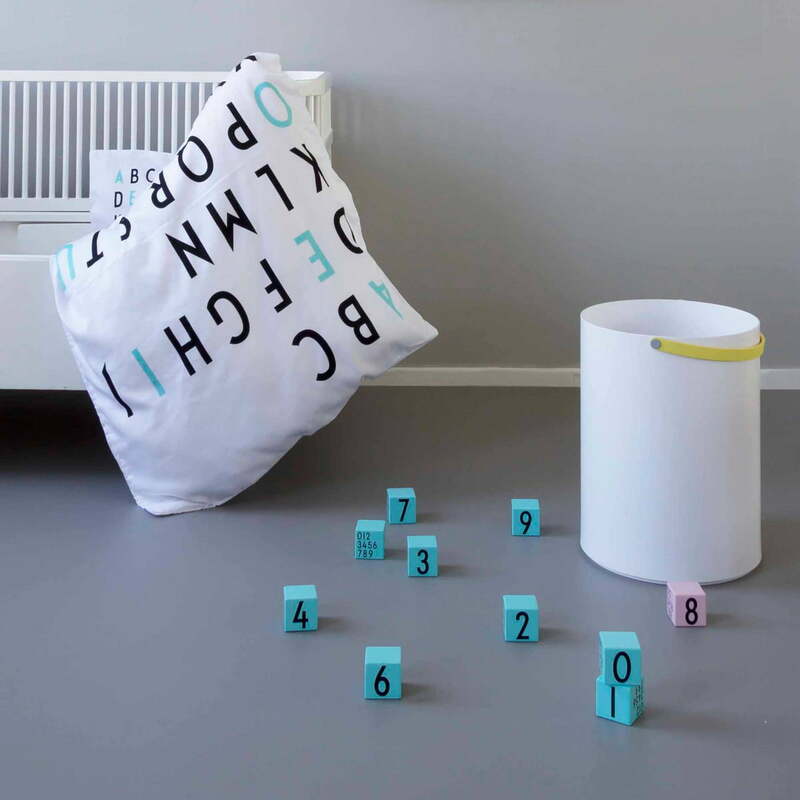 They are printed with the typography by Arne Jacobsen and will delight every number cruncher.